The Chilling Adventures of Sabrina series may have already cast its titular witch, but what is a witch without her black cat familiar? Roberto Aguirre-Sacasa, Chief Creative Officer at Archie Comics and executive producer for Riverdale and Sabrina, has tweeted the first look at Salem, the American Shorthair (and darn proud of it!) who will serve as Sabrina’s furry companion on the still-untitled Netflix show. All bow before the mighty Salem Saberhagen! He’s a cat, not a pet, and he’s got his own last name. 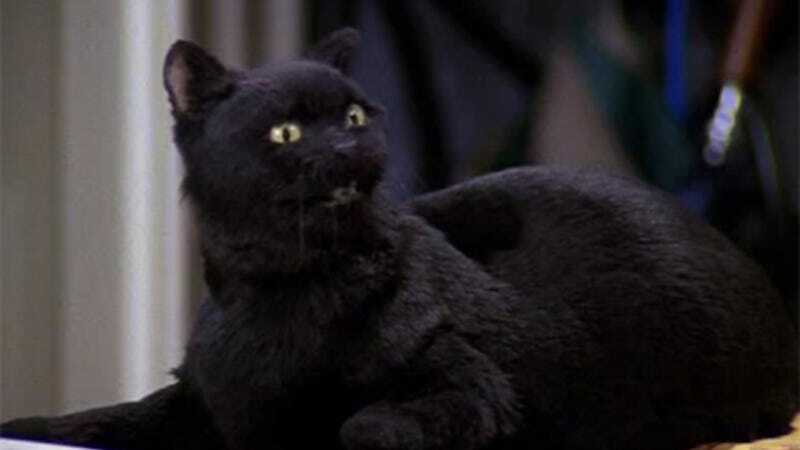 In Sabrina the Teenage Witch, Salem was a warlock who’d been sentenced to live for 100 years as a cat after trying to take over the world. However, in The Chilling Adventures comic his story is quite a bit darker. As shown in a standalone issue of the series, he was a human who was turned into a cat by Salem’s witches after getting a witch pregnant and refusing to marry her. On the Netflix series, Salem the satanic feline joins Kiernan Shipka, who is playing the part of Sabrina, and Jaz Sinclair, as her best friend Rosalind Walker. Also, if you’re wondering if I also have a black cat whose last name is Saberhagen... the answer would be obviously yes.